This event is intended to fall within the reception exception to the House and Senate gift rules. Executive branch employees should obtain written permission to attend this event from their designated agency ethics office and should send a copy of the permission to Suzie Zimmerman by email at SZimmerman@USChamber.com prior to the event. The Middle East Division of the U.S. Chamber of Commerce - The U.S. Chamber's Middle East Affairs program is the premiere business advocacy platform for strengthening the commercial relationships between the United States and the Middle East region. In 2015, we will continue to lead the business community's efforts to shape policies that advance U.S. trade and investment in these countries. (https://www.uschamber.com/turkey-and-middle-east). The U.S.-U.A.E. Business Council is a progressive business advocacy organization solely committed to the advancement of the trade and commercial relationship between the United States and the United Arab Emirates. For more information: (www.usuaebusiness.org). 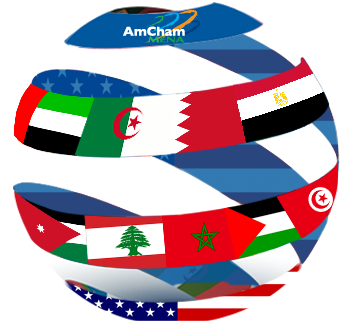 AmCham MENA is a trade association established in 2005 comprised of the AmChams located in Abu Dhabi, Algeria, Bahrain, Egypt, Jordan, Lebanon, Morocco, and Tunisia dedicated to increasing trade and investment between the US and MENA region. (www.AmChamMENA.org). AmCham Abu Dhabi is a member of the global network of American Chambers of Commerce whose mission is to promote commerce, investment and goodwill between the United States of America, the membership, the Emirate of Abu Dhabi and the United Arab Emirates. (www.AmChamAbuDhabi.org).